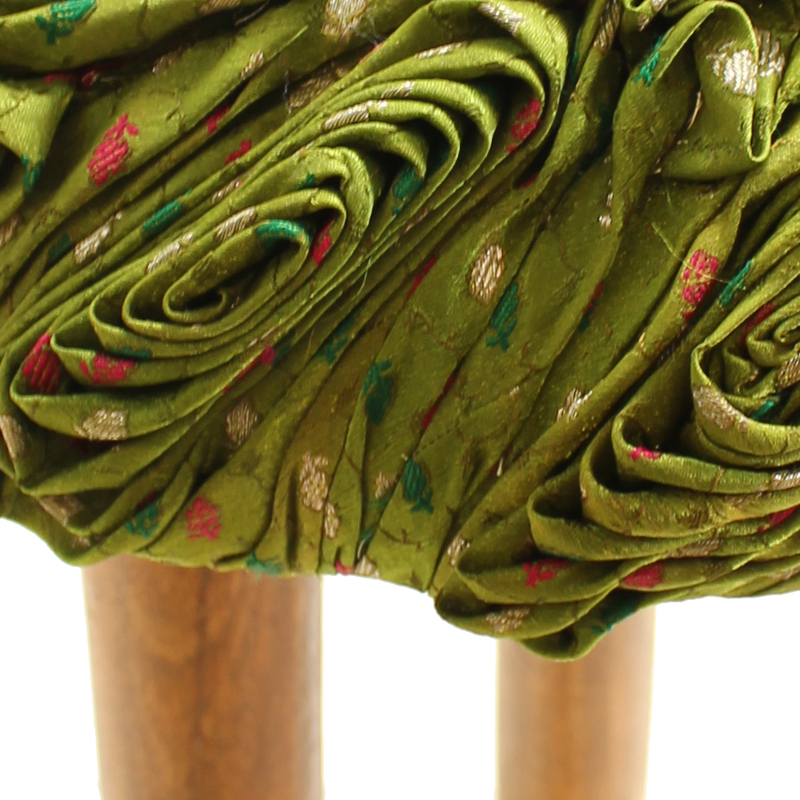 The Pagri Stools by Studio Avni are made from repurposed silk Sarees. 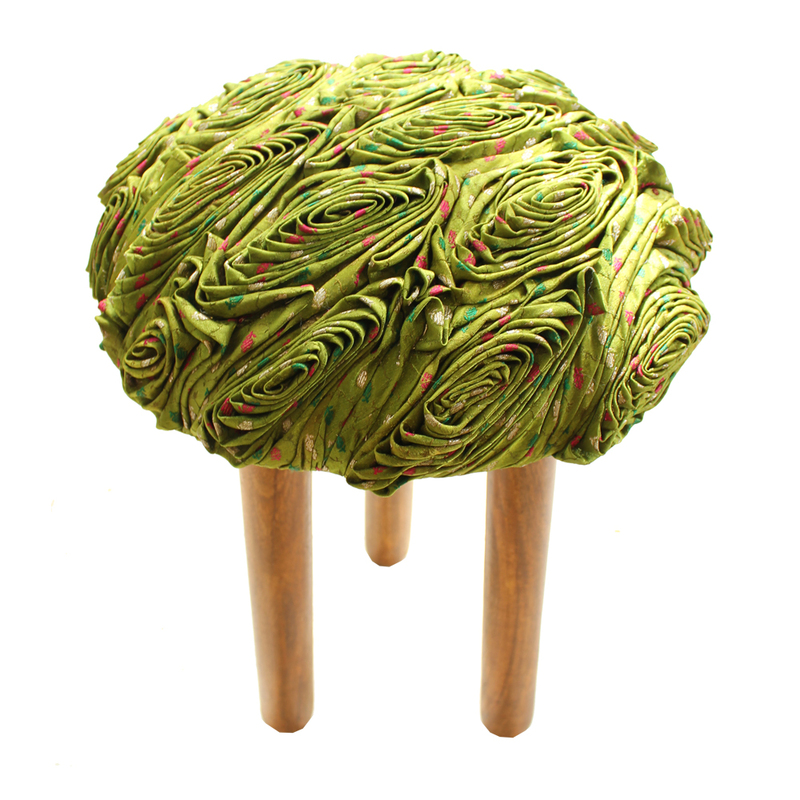 Studio Avni have created an upcycled and sustainable collection of textile poufs using the material from these old and discarded drapes. 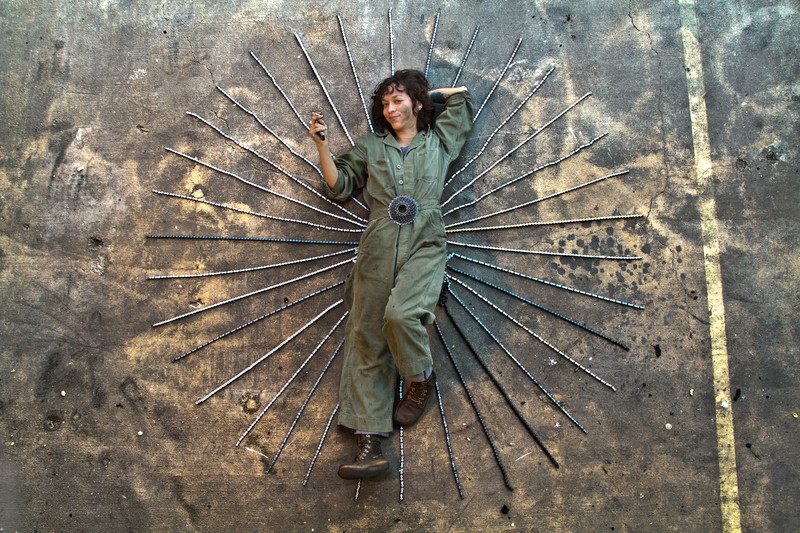 Furniture Magpies create furniture from discarded materials, providing an alternative to adding to landfills. 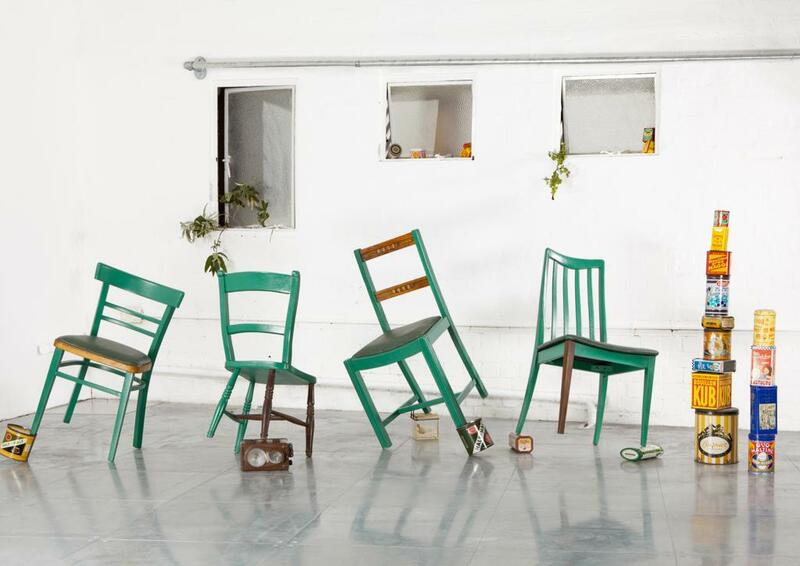 These unique constellations that use a combination of discarded furniture, look more like art than functional objects. 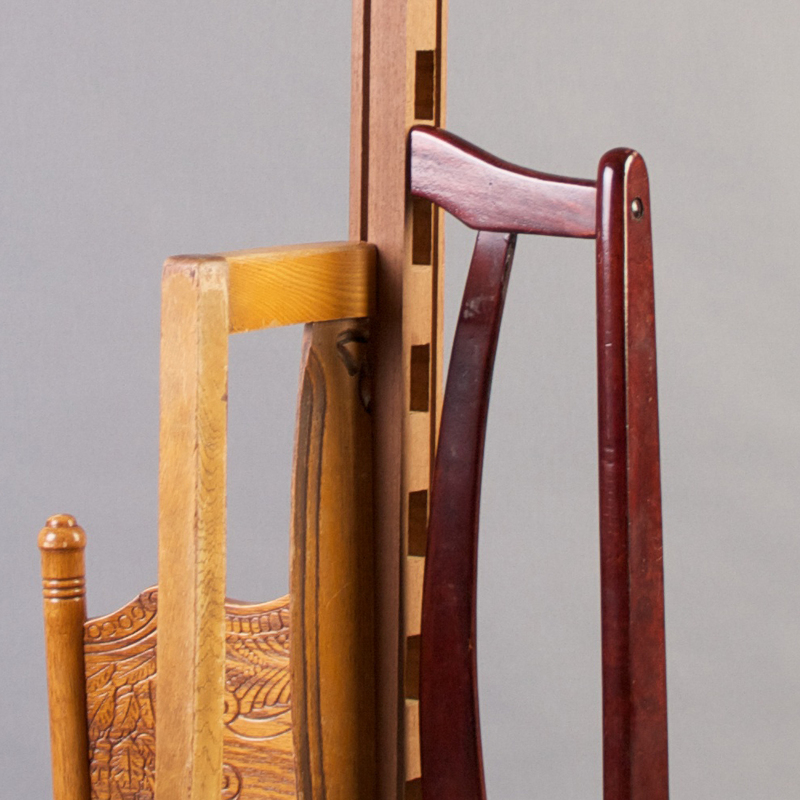 This coat stand is made with the back of several dining chairs, the design blends different chair styles while retaining the individuality of each component. 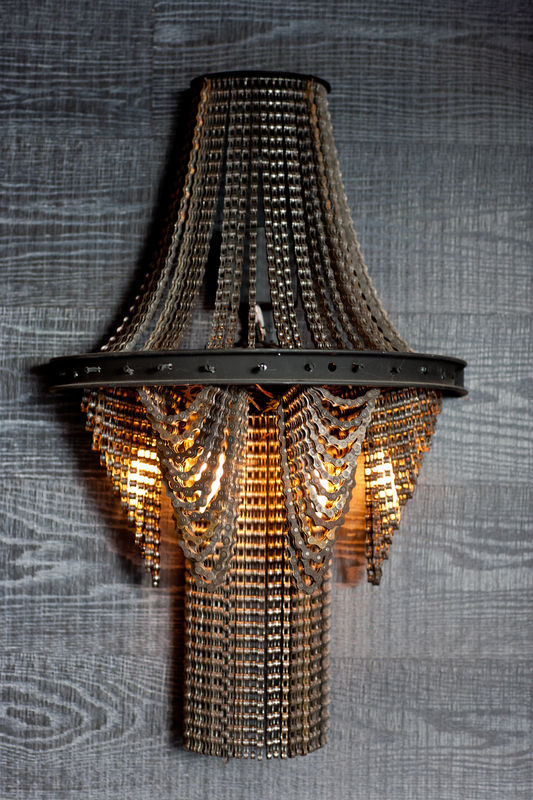 The beautiful visual composition is also surprisingly versatile adding to the atmosphere of a room. 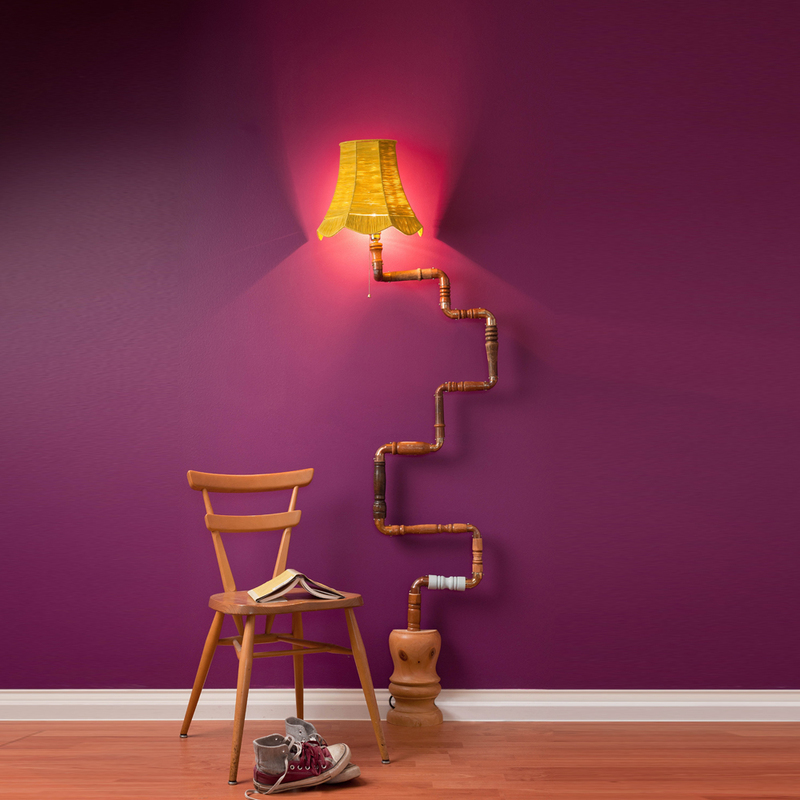 The ‘Lovely Legs’ climbing wall lamp is made with discarded Windsor chair legs and copper elbows. Furniture Magpies emphasise the importance of the history and memories carried by the pieces that make up the final product. 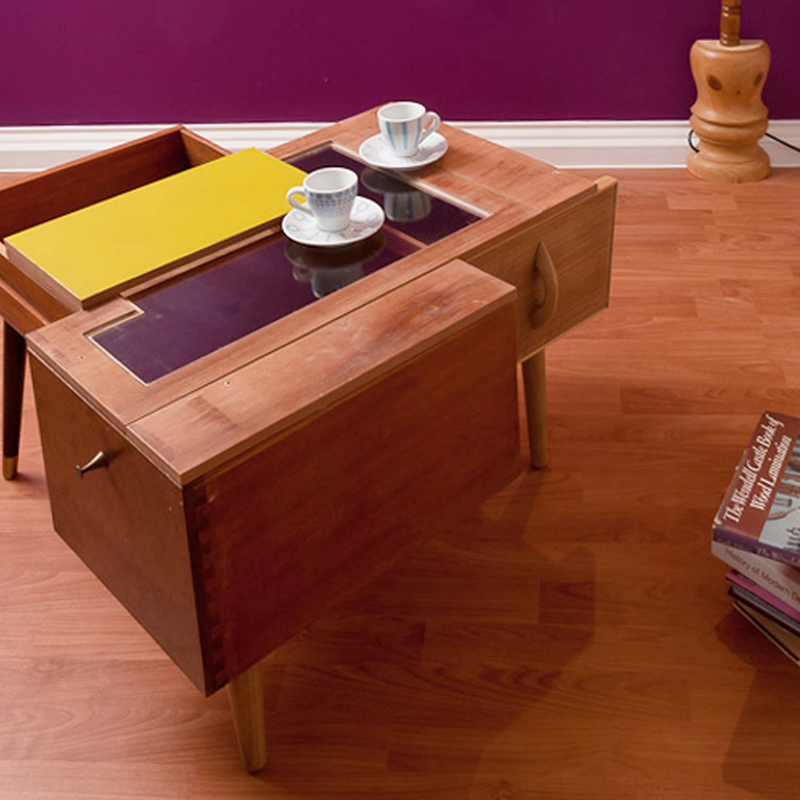 ‘Hang on to your Drawers’ coffee table made with reclaimed old drawers. All of these items are also available at moorbi.com. 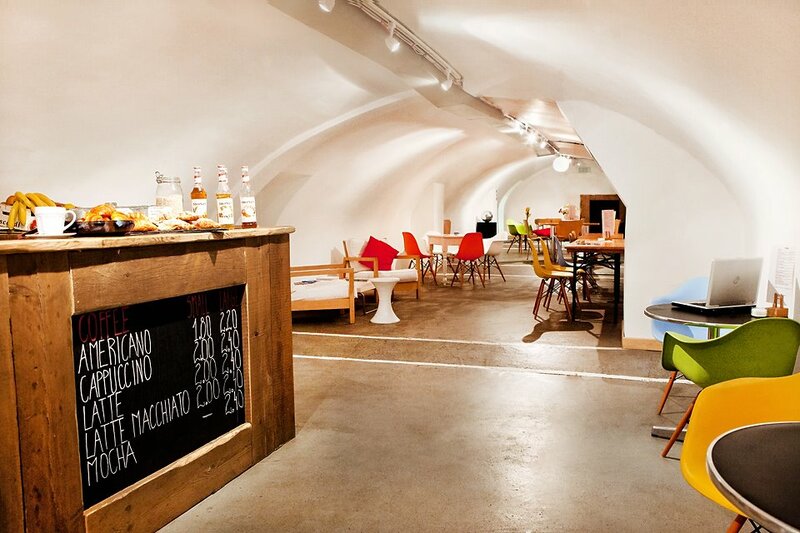 The Living Furniture Project is a design studio and workshop with a social purpose – creating jobs for the homeless. Located in East London, an area with a visible housing problem, the project aims to encourage training and creativity to address this growing problem. It not only highlights the issue of homelessness but also takes a positive and practical approach in attempting to solve it. The company works in partnership with two homelessness charities – Crisis and Providence Row, who refer their clients to the workshop for a range of paid and unpaid training and work programmes. Each Apprentice is given technical training, structured mentoring and pastoral support – a personal development programme which has been designed in conjunction with the partner charities. The project has taken on two homeless Apprentices since launching in January 2013, and is taking on two more in May. The aim is to employ ten Apprentices by the end of the year. Apprentices will stay with the company for up to six months and are then helped with finding a job elsewhere in the furniture industry. 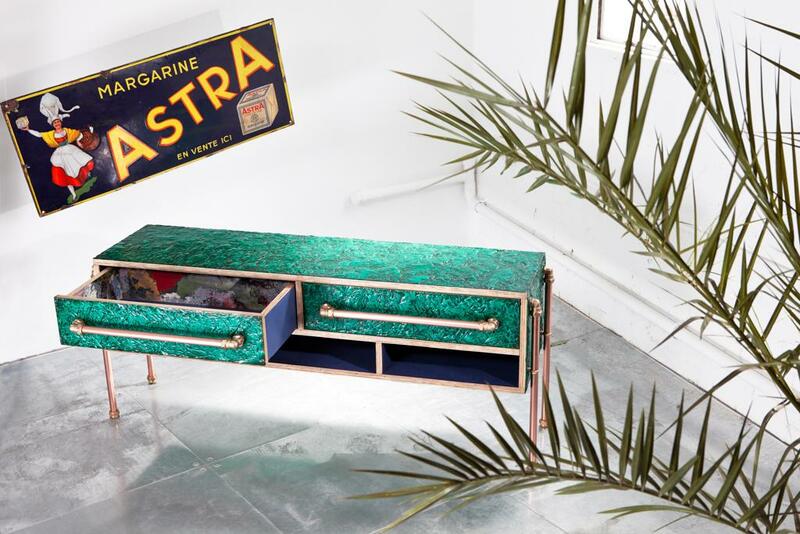 The Living Furniture Project source all their materials sustainably – using reclaimed plywood or shipping pallets, or restoring old pieces they find in salvage yards, skips or on the street. 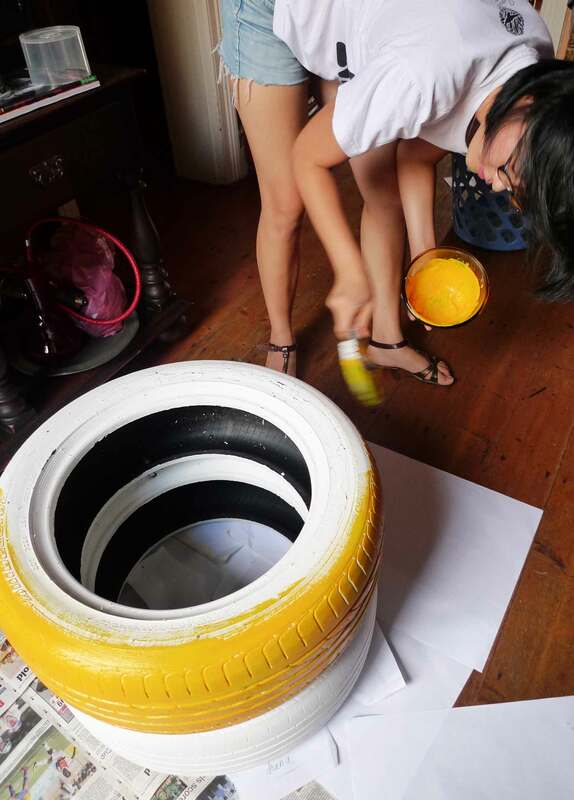 The company already has a network of spotters and collectors who identify opportunities to reclaim waste in the construction, textile and manufacturing industries. Below is a short video explaining how the Living Furniture project works and how you can buy bespoke made furniture from them. The Living Furniture Project – How to buy furniture from us from Alastair Sloan on Vimeo. 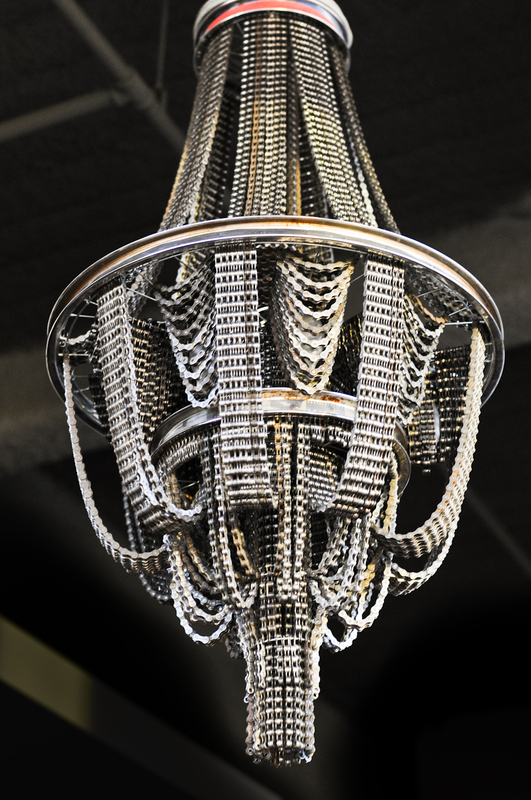 The LA based multidisciplinary artist, Carolina Fontoura Alzaga (better known as Caro), has created the CONNECT Series of spectacular, cascading, and seemingly traditional chandeliers. 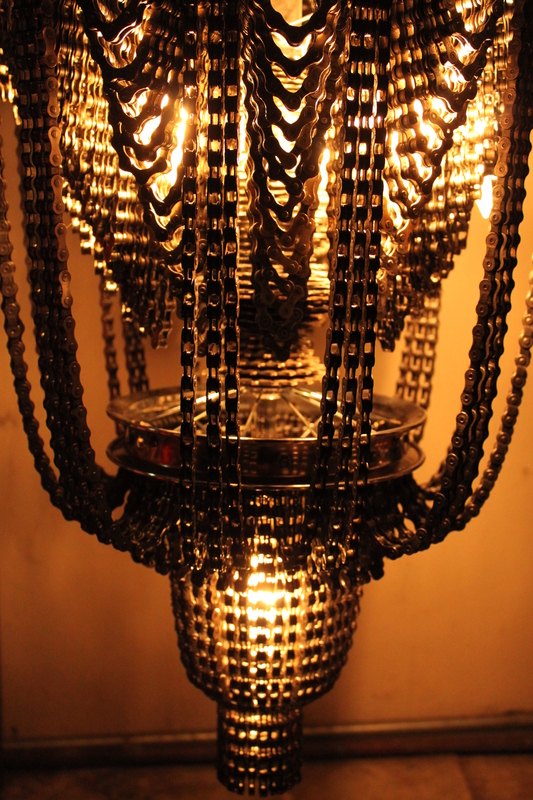 These chandeliers however, are not made of glass or crystal but have been carefully crafted using discarded bike parts. 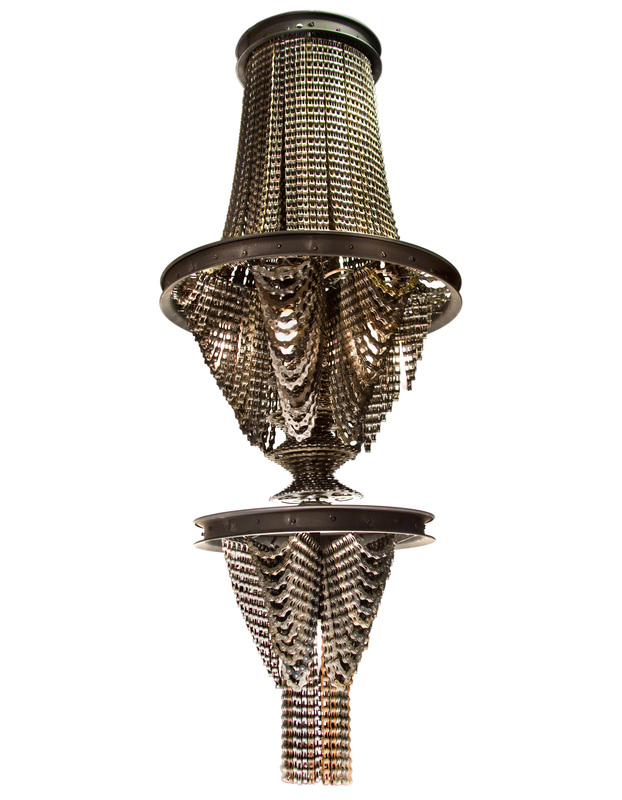 The CONNECT Series chandeliers are influenced by both modern and Victorian styles, as well as by bike culture, and a strong belief in the concept of sustainability and environmental preservation. 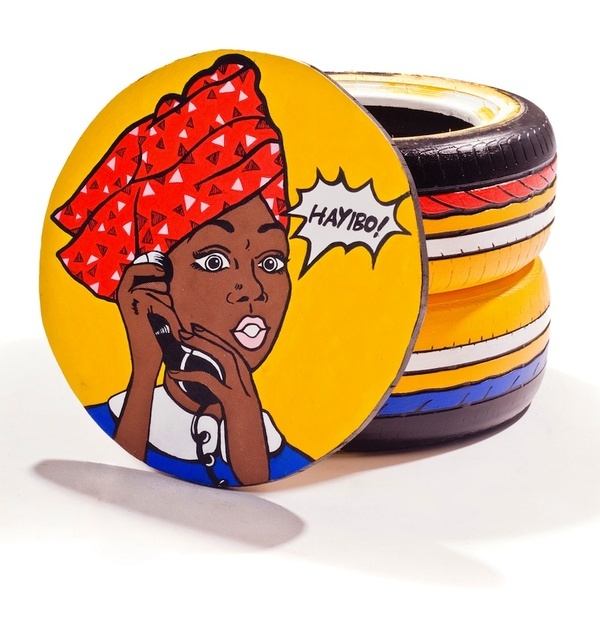 Caro has a unique gift for recognising value and functionality in unwanted objects, allowing these to serve a purpose even if it greatly differs from their original use. 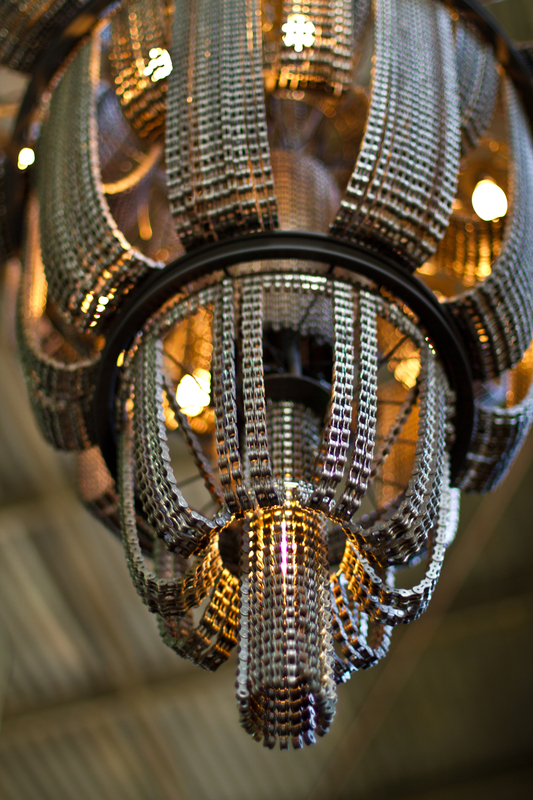 Yes take a closer look, these stunning chandeliers are made of bicycle chains draping down in elegant swathes. 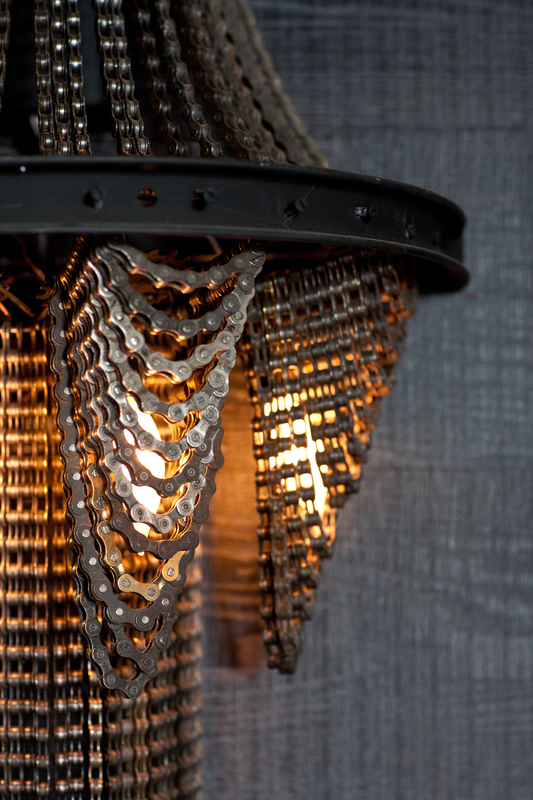 Carolina Fontoura Alzaga uses old discarded and broken bicycle chains to create these fixtures using her artistic talent and skilled craftsmanship. 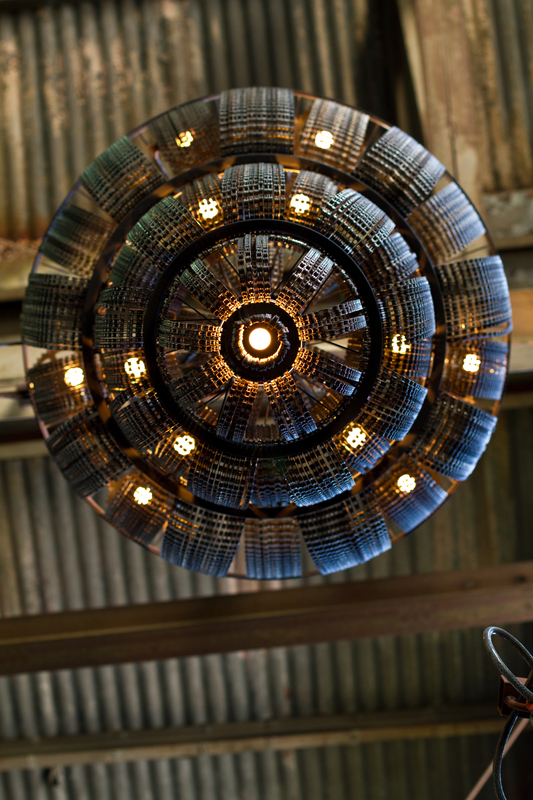 The result is astonishing, proving that the gift is in the quality and composition of each piece. How often do you see junk in peoples gardens? Old chairs, wooden planks and every so often an old bathtub will litter people’s lawns. 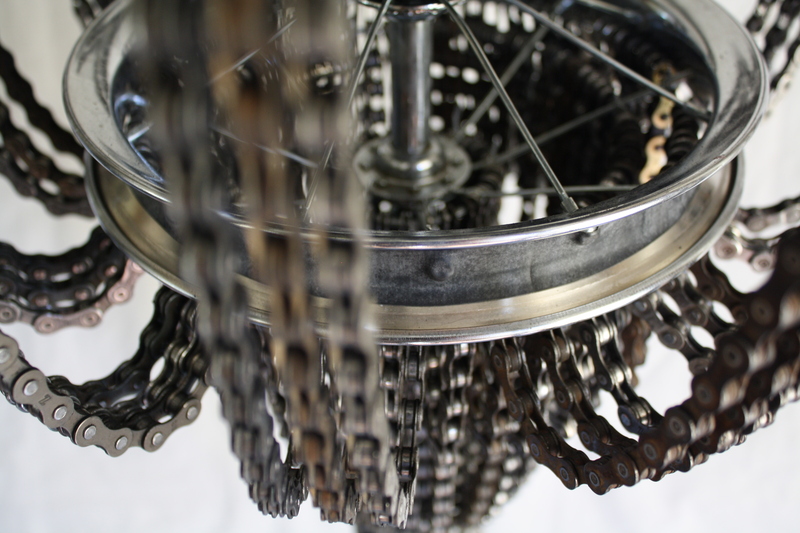 Removing bulky objects can be an expensive and laborious task. 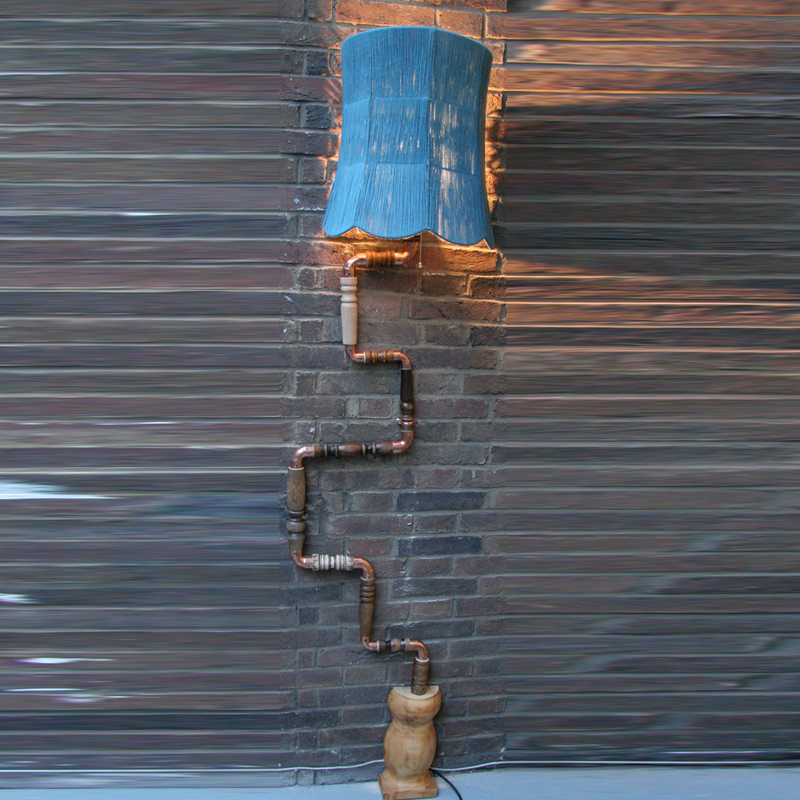 Sometimes this will even build up until it becomes a bit of an eyesore, however there are plenty of ways to integrate discarded objects into your garden without even removing them. 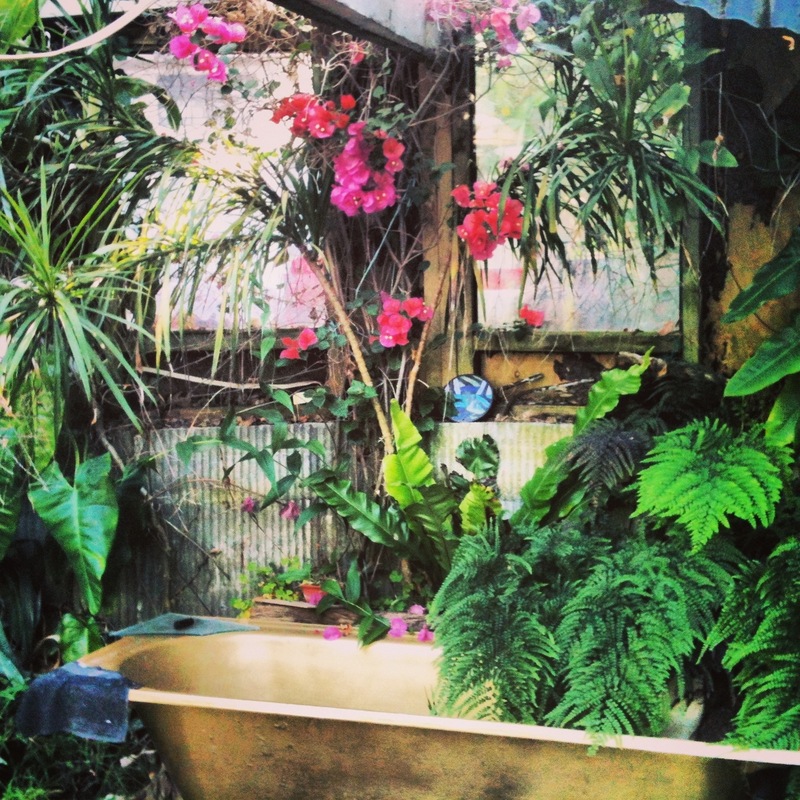 I saw this beautiful gold painted bathtub in an old winter garden in Christchurch, New Zealand. After the earthquake countless homes were left badly damaged or destroyed completely. This affected gardens too, but nature has a great way of recovering and this particular garden has been transformed not lost. This old bathtub was painted in gold and placed in a disused glasshouse, as the plants have flourished they have almost engulfed the bathtub making it a central part of the winter garden.